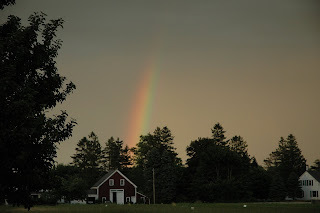 A beautiful rainbow behind the house. Great shot! Sounds like you all are having a wonderful time with the exception of the Maxster. Your Mom went back to Dr. Sylva this morning and all is on the mend. She is starting to feel better, thankfully.